The Internet of Things (IoT) is going to change our world. It is estimated that there will be nearly 22 billion IoT devices by 2025. Extending internet connectivity to everyday objects will transform industries and create tremendous cost savings. But how do non-internet-enabled devices gain connectivity capabilities? With wireless sensors, the IoT is possible. Individuals and organizations can use wireless sensors to enable many different kinds of smart applications. 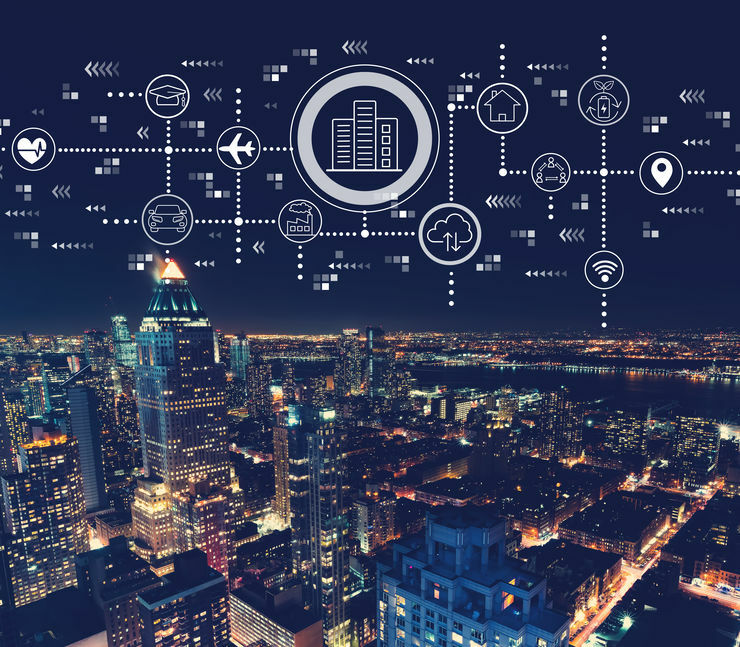 From interconnected homes to smart cities, wireless sensors create the infrastructure upon which the IoT comes alive. Understanding how wireless sensor technology works is crucial for anyone who intends to deploy IoT applications in the future. Through this article, you will gain a fundamental understanding of how wireless sensors work, emerging wireless standards for sensors, and what role they will play in the future. What is a wireless sensor? What are some examples of wireless sensors? What are the different types of wireless network topologies? What are the traditional wireless sensor protocols? What are the new and emerging LPWAN standards for wireless sensors? How does wireless sensor technology fit into the Internet of Things? Who provides wireless sensor solutions? A wireless sensor is a device that can gather sensory information and detect changes in local environments. Sensors are designed to measure specific parameters about their physical surroundings and produce outputs, often electrical signals, for further processing. These parameters include many different types of stimuli, including air temperature, lighting levels, movements, and liquid leakages. Due to the fact that wireless sensors don’t actually perform heavy data processing locally, they consume very little power and can last years on a single battery if an optimal wireless technology is used. Additionally, sensors are easily supported on low-speed networks as they transmit very light data loads. Passive sensors are self-powered devices that respond to inputs from surrounding environments. They don’t actively probe and, therefore, do not require an external energy source. An example of a passive sensor would be a mercury-based thermometer that rises and falls with temperature but does not require external power. Active sensors, on the other hand, rely on external power to continually monitor local environments. Examples of active sensors include devices that use radar or sonar in order to probe surroundings. Active sensors are the primary topic of this article. Wireless sensors can be grouped together in order to monitor environmental conditions throughout a region. These wireless sensor networks consist of many spatially dispersed sensors that communicate through wireless connections. Sensors in a common network share data either through nodes that consolidate information at a gateway, or where each sensor connects directly to the gateway assuming it can achieve the necessary range. Gateways act as bridges that connect local sensors to the internet, functioning both as routers and wireless access points. Wireless sensors come in all shapes and sizes. They can be used for many purposes, from detecting movement to monitoring air quality. Wireless proximity sensors detect the presence or absence of different types of objects. There are several categories of proximity sensors that include inductive, ultrasonic, infrared, microwave, laser, pulse radar, and RF time-of-flight / doppler sensors. Some of the most common proximity sensors use hall effect sensors or reed switches to detect the presence of a magnet. Inductive proximity wireless sensors require a metal target, which makes them useful for activities, such as monitoring industrial processes and optimizing traffic flow. Stadiums with retractable roofs may use inductive sensors to ensure that systems are working properly. At street intersections, inductive sensors can be buried within pavement to register when cars are waiting for the lights to change. Capacitive proximity sensors can detect many kinds of materials, from liquids to rocks. As a result of their versatility, companies might use capacitive sensors to monitor hopper powder levels or rice and soybean presence on grain elevators. These sensors can also be used in a similar fashion to liquid detection sensors by monitoring tank levels. Using high-frequency sound waves, ultrasonic proximity sensors can determine distances between two objects in harsh conditions. Ultrasonic sensors can be used to detect cars in automated car washes or obstructions in the way of garage door paths. Wireless movement sensors can detect certain types of motion, including acceleration and tilt. For example, wireless movement sensor alarms can be configured to alert owners when their valuable assets or packages are on the move. With acceleration-based sensors, companies can monitor the movement of assets or measure impact forces. PIR motion detectors use infrared light to detect movement within a room. PIR sensors are often used in security and people detection applications. Vibration sensors can help determine how much a machine is in use or monitor pump activity. For instance, the piezoelectric strip from the vibration sensor can be attached to a motor to detect on / off activity or to detect if a bearing is starting to fail. Building security firms may also use these sensors to quickly learn of window breaks or shattered glass on their properties. Wireless liquid sensors detect the presence of liquids, such as water or fuel. A flow sensor can monitor when water movement has stopped, indicating potentially frozen pipes. Water sensor wireless alerts can tell homeowners when there is flooding or an overflow of some kind. Hotel owners can install water leak sensors throughout their establishments to identify leaks as soon as they occur. Additionally, these sensors can be deployed to register dangerous fuel leaks at industrial sites. For companies or organizations that measure reservoir levels, ultrasonic liquid level sensors can be used to send alerts when levels are too low or too high. Wireless push buttons transmit signals when buttons are pushed, which is particularly important in emergency health or personal situations. In this type of application, it is referred to as a Personal Emergency Response System (also called PERS) in which users can push one of these wireless panic buttons when they require assistance of any kind. Wireless push button sensors can also be used in customer service settings when guests need to be able to request assistance. In public restrooms, wireless push buttons can also function as service call buttons that indicate when cleanings are needed. Wireless air sensors are used to assess air quality, including temperature, humidity, and the presence of harmful gases. Using wireless air temperature and humidity sensors, homeowners can detect heat system failures or measure humidity levels in greenhouses or in-home saunas. With air sensors, art gallery owners can carefully regulate room temperatures and restaurants can detect refrigeration failures before it’s too late. Additionally, air sensors can be used to monitor HVAC efficiency and detect when air flow is hindered. Wireless temperature sensors can not only track temperatures in the surrounding environment, but can also measure material temperatures. For example, probe-type temperature sensors can detect frozen pipes and warn homeowners that they need to take preemptive measures to avoid future problems. Warehouses will use air temp and humidity sensors measure heat index values to ensure the safety of their employees. There are also temperature sensors specifically designed for in-water applications. Aquariums can use wireless water temperature sensors to monitor tank temperatures. Amusement parks and recreation centers can also track pool temperatures and make sure conditions are comfortable for guests. Wireless optical sensors can detect optical events involving light levels or optical beam crossings. With light detection sensors, greenhouses can track solar and light levels throughout the day. Museums can configure light metering sensors to warn supervisors of when there is too much harmful UV radiation present. With ambient light sensors, homeowners are able to detect the presence of flames inside or automate lighting systems in order to reduce energy costs. PIR infrared motion sensors are often used in security applications or for people detection. Wireless sensor networks are typically arranged in a few different topologies. The most commonly used to support wireless sensor technology are the star and mesh topologies. Star topologies are those in which every node is directly connected to a central hub, or gateway. Under this arrangement, nodes send information to a single gateway, which then relays messages to the intended destination. Gateways are able to share information with many nodes simultaneously, which makes it much easier to scale networks. Because nodes aren’t exchanging data directly between them, many fewer point-to-point links are required. Consequently, star topologies are simple to install, configure, and manage as new nodes only need to be connected to one central point. Overall, star topologies are a cost effective solution for enabling data transfer between numerous wireless sensors. On the downside, star topologies rely completely on the wireless link between the sensor and the central hub. Range can be an issue since there is no means for an intermediate “hop” or repeater of the signal. Also, scaling depends on the gateway’s capacity to support additional nodes. Rather than relying only on a central hub, mesh topologies put data transfer responsibility on nodes within the network. In mesh topologies, nodes function as routers that can pass information along to other nodes. As a result, connectivity issues at certain junctures pose less of a threat as data can travel along many paths to reach the gateway. There are a number of significant problems with mesh networks, however. Mesh networks require much more complicated (and often overly complicated) protocols to form the network and relay data at run time. Another major disadvantage is that mesh networks consume much more power than star topologies as some nodes must remain on in order to relay information. Often times, mesh networks are used as a quick fix for the lack of range, making it harder to justify the costly up-front investment. What are some of the traditional wireless sensor protocols? There are many wireless protocols that enable connectivity between sensors. WiFi (“wireless fidelity”) is a widespread and versatile Local Area Network technology that sends information over two primary frequencies, 2.4GHz and 5GHz. WiFi networks can transfer large data packets at relatively fast speeds over medium ranges. The primary advantage of WiFi is its availability in most homes and businesses, thus making it a highly convenient existing network. On the downside, WiFi signals have limited ability to penetrate through walls, and connected devices consume a lot of power compared to alternative wireless sensor protocols because of the extended data overhead of the protocol. Also, the management of the WiFi keys are in the local router which means that a change in a key can easily break sensors that were previously connected. In addition, there is no simple means to update these keys. Devices such as TVs, laptops, smartphones, etc. have displays that allow the user to easily change the key, but most simple sensors do not have this type of interface and require a provisioning process to modify the key. This makes long-term management and reliability a problem for WiFi Sensors. Also, most IoT sensors don’t typically need the bandwidth available with WiFi. As a result, it tends to be less optimal for simple sensor devices. Finally, because there are many high-bandwidth devices competing for the same RF channels to stream video, audio, and other complex data transfers over WiFi, there can be a lot of interference from these devices which can block other devices that only need to send simple messages. Bluetooth Low Energy, or BLE, is a low-power protocol that is designed to support periodic low data rate wireless communication over short ranges. Not to be confused with classic Bluetooth technology which is great for streaming audio to speakers or headsets, BLE is intended for wireless sensors that transmit small packets of information. The technology is a cost-effective alternative to WiFi that doesn’t consume nearly as much power from devices. BLE does, however, also operate at 2.4GHz, which means the protocol is limited in terms of its range and ability to penetrate through walls, in addition to facing interference from other 2.4GHz devices. For over a decade, Zigbee has served as a low-power alternative to Bluetooth and WiFi that is best suited for wireless sensors that don’t require much bandwidth. The technology is built around the IEEE 802.15.4 standard and relies on mesh networks to transmit data. As a result, Zigbee is often used to enable smart homes consisting of many low-power devices. Compared to Z-Wave, Zigbee can support a huge number of nodes – 65,000+ in a single network. One disadvantage of Zigbee is that some nodes need to remain “on” in order to relay information as discussed in the wireless topologies section earlier. Additionally, there are increased infrastructure costs due to the need for routers to extend range. Generally speaking, Zigbee, DigiMesh, and other mesh networks can be thought of as expensive “band-aids” for poor RF performance, interference avoidance and range. Z-Wave is a wireless protocol designed specifically for smart home applications. Developed by Zensys, the technology is an alternative to Zigbee that runs on the “less noisy” 900MHz frequency band, thereby enabling it to avoid major interference issues. However, Z-Wave mesh networks can only support a limited number of wireless sensors and is subject to the limitations of mesh networks described earlier. Also, users need to sign a licensing agreement with Silicon Laboratories before they can use the technology which adds to the expense. Ultimately, the primary reason to build Z-Wave sensors is for compatibility with existing Z-Wave systems. Z-Wave is used extensively in the home-security industry as it allows for bi-directional communications to end points through an encrypted channel. Traditional home security protocols are one-way only and unencrypted. Therefore, they don’t work well for applications such as door locks. In recent years, the movement to connect simple devices, like sensors, to the Internet and the vision to connect billions of everyday objects around the world, has led to a new class of wireless standards that are classified as low-power wide-area networks, or LPWANs. LPWANs are a specific class of radio technologies that are used to send small amounts of data over very long distances. LPWAN networks consume much less power from connected wireless sensors and are less costly to access. With LPWANs, end users trade bandwidth for increased range, which is appropriate for those deploying simple wireless sensors. LPWAN solutions are typically more cost effective, enabling companies to realize positive ROIs for their IoT applications. There are several leading LPWAN protocols available on the market today. Among these, LoRa, Sigfox, and NB-IoT are the most widely used and effective for supporting wireless sensors. LoRa (an abbreviation for “long range”) is a popular wireless standard with a higher bandwidth capacity than Sigfox. LoRa uses a proprietary modulation scheme called chirp spread spectrum, which enables excellent link margins and can reach signals that are below the RF noise floor. Consequently, LoRa sensors can transmit larger data packets through noisy environments over long distances. The standard supports LoRaWAN, the Media Access Control layer specification that sensors can use on top of the LoRa modulation techniques. LoRa networks can use either public LoRaWAN base stations or private gateways which makes it particularly useful for wireless sensors in more remote areas where public access may not be available. LoRaWAN gateways are available from companies like Multitech, Tektelic, and Laird. These gateways can be then connected to a cloud-based LoRaWAN network server. From there, the data is pushed to the application. Fully managed gateways and network servers are available from companies such as machineQ (a division of Comcast) in which users lease gateways and pay monthly fees for active gateway and network server management. Although individual deployment of LoRaWAN gateways is common, there are several WAN providers that offer public networks built on LoRaWAN. Senet, for example, allows users to connect to existing network infrastructure for a monthly fee. Even though there is a monthly fee associated with each device, Senet users can deploy devices, such as temperature and humidity sensors, without any additional infrastructure. The Things Network provides a free, open, and global LoRaWAN infrastructure on which developers can build their own IoT applications. Overall, The Things Network supports 6,802 gateways in 137 different countries. Sigfox offers LPWAN coverage across the world, and uses ultra narrowband modulation to transmit very small packets of data. In the Sigfox model, there is no need to add your own gateway infrastructure because the wireless sensors communicate directly with Sigfox base stations. Sigfox is especially useful for simple sensors that only send infrequent and simple data packets. Due to the simplicity of the protocol, Sigfox hardware is extremely cost effective. Users do need to purchase data plans, but the cost is well below $1 per device per month. NB-IoT (short for Narrowband IoT or NB1) is essentially the cellular carriers’ answer to LPWAN. NB-IoT provides wide area coverage for low-power devices at a cost-effective rate. The standard leverages existing cell tower infrastructure and can operate on LTE base stations, 200-kHz bands, or independently. Narrowband IoT can also work side-by-side with 3G and 4G networks. T-Mobile now offers NB-IoT coverage in markets where they have 4G coverage. The main disadvantage of NB-IoT is that users have to pay a monthly fee similar to a Sigfox solution. Radio Bridge is able to deploy wireless sensor solutions for each of these emerging standards and can help customers determine the right protocol for their applications. 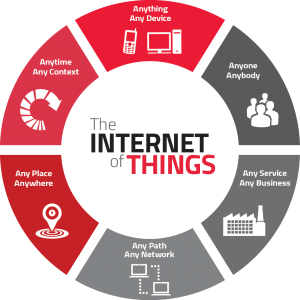 The success of the Internet of Things is highly dependent on wireless sensor technology. Wireless sensors will enable many major IoT applications across a wide variety of sectors and settings. With such a vast array of sensors available, IoT possibilities are virtually endless. Smart homes, smart buildings, smart cities, smart agriculture and supply chain management are just a few of the areas that will be dramatically impacted by wireless sensor networks. Below are several specific use cases that demonstrate how versatile and important wireless sensors will be in the future. In a single home, residents may use a variety of wireless sensors to track surrounding conditions and bolster security. For example, a homeowner could install wireless door or window sensors throughout the house to monitor opening and closing events at all times. These same sensors can be used to detect activity around lock boxes and cabinets that hold valuables or private information. Homeowners can also install wireless dry contact sensors in doorbells or other remote control units throughout the house that send alerts when certain buttons are pushed. With wireless water sensors, leaking toilets or pipe issues can be quickly rectified before basements are flooded and carpets are ruined. Both plumbing and insurance companies can also benefit from wireless water leak sensors. Plumbing service providers could install these sensors at condo complexes and apartment buildings so that they are automatically warned when leaks occur in any units. Insurance firms could also deploy leak sensors in homes to minimize any damages that may occur from accidental flooding. At senior care facilities, wireless push buttons are particularly important as they can be configured to act like mobile PERS devices that will warn staff when help is needed. Just like in smart homes, these facilities can also use wireless door or window sensors to detect when residents are trying to leave their rooms unattended. Grocery stores and retailers can protect assets with different types of wireless sensors located throughout their premises. With wireless air temperature sensors, facilities managers can track temperature levels in refrigeration units and make sure that perishables are safe. By using wireless temperature sensors, they can also measure the temperature of refrigerated foods, thus creating an effective cold chain monitoring system. For those with large glass window displays, wireless vibration sensors can be extremely useful for detecting glass breaks instantly and warning the appropriate authorities. At car dealerships, fleet managers can install wireless acceleration-based movement sensors in vehicles so that they can receive notifications when cars move at night, a sign of potential theft. In warehouses, facility supervisors can calculate heat indexes with wireless air sensors and make sure they maintain healthy work environments for employees. Additionally, tilt sensors could be deployed on loading dock doors to detect opening and closing events. In museums and art galleries, preservation specialists can place wireless humidity sensors in rooms to monitor and adjust air conditions in order to protect artifacts or artwork. Optical sensors could also be used to detect lighting levels and ensure that guests have the best possible viewing experiences. Utility companies can install high-temperature probes on utility poles in order to detect transformer failures. With tilt sensors, they could also configure sensors to send alerts to maintenance personnel when poles are leaning or have been struck by vehicles. These are just a few examples of how wireless sensors will enable IoT applications in our daily lives. Over time, we will continue to see innovation across different industries and other useful applications for the technology. A number of companies design wireless sensor solutions for IoT applications today. Monnit creates remote monitoring solutions based on its proprietary protocol, Alta, and sells many components, including sensors, gateways, software, and other accessories. Tektelic is a supplier of sensors, applications, and gateways, and a developer of solutions for clients who are trying to launch IoT applications. Tektelic’s sensor catalog includes an industrial asset tracker, an all-in-one smart room sensor, and a smart AC outlet and switch. Laird develops customized IoT platforms, wireless modules, and antenna solutions. Advantech provides a number of solutions around industrial IoT (IIoT). All of these can be fine options if the product mix matches your requirements. Radio Bridge, however, is the only company exclusively focused on sensor products built upon these new and emerging wireless standards. Radio Bridge designs and manufacturers wireless sensors for many different types of Internet of Things applications. Our catalog includes movement sensors, light sensors, air sensors, push buttons, and much more. We focus on creating sensors for the home security, smart city, medical device, and industrial automation industries. Don’t see a wireless sensor that meets your specific needs? Contact Radio Bridge to share more information about your intended application. Our team can design custom wireless sensors on the emerging LPWAN technologies, Sigfox, Lora, and NB-IoT. From LoRaWAN temperature sensors to Sigfox push buttons, we can make it happen. We also have a proprietary software application in which you can easily manage all of your wireless sensors in one place. Provision, monitor, and configure every sensor through our easy-to-use device management console and Sensor Vision phone app. To learn more about how Radio Bridge can help you deploy wireless sensors on any LPWA network, contact our team of experts today.